All material is copyright to their respectful owners and no copyright infringement is intended. this video uploaded by K-Ville Entertainment . It's time to discover new #KPOP artists, witness rookies rise to the top, celebrate when our legends come back, and die of shock when an unexpected comeback happens! 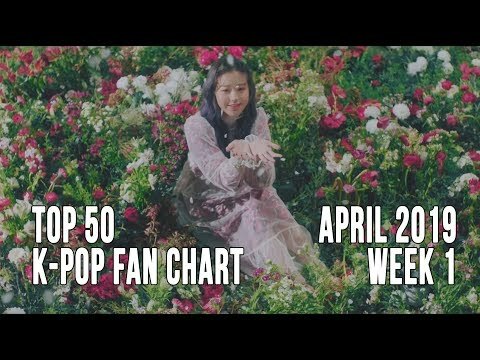 These are your New K-Pop Songs from April 7th - April 14th, 2019. We can't earn any money from these videos because YouTube demonetised our whole channel. It would really help if any of you could donate as little as $1/month on our Patreon: https://www.patreon.com/kville Vote on the K-Pop Songs Chart here: https://youtu.be/RkcmehkVgaQ New releases include #BTS, #MINHYUN, #BVNDIT & more!! FOLLOW K-VILLE in these places! ► IG: @kville_ent ► FB: https://www.facebook.com/kville.entertainment/ ► TWITTER: https://twitter.com/kville_ent ► TUMBLR: https://kville-entertainment.tumblr.com/ ► PINTEREST: https://www.pinterest.com.au/kvilleent/ Songs Included: HIGH TENSION – “Ready For” BTS ft. HALSEY – “Boy With Luv” MINHYUN (of NU’EST) – “Universe” BVNDIT – “Hocus Pocus” VAV – “I’m Sorry” SUPER JUNIOR D&E – “Danger” STRAY KIDS – “19” EUNHA (of GFRIEND) x RAVI (of VIXX) – “Blossom” 1THE9 ft. CRUSH – “Domino” 1THE9 – “The Story” 1THE9 – “Spotlight” GREATGUYS – “DANG!” GIRL CRUSH – “Memories” CAMILA – “Take Me Home” MIDNIGHT – “Swish” GREE ft. SAMUEL SEO & GA EUN – “Ding Dong Ditch” JEEBANOFF ft. SOGUMM – “We (OUI)” GAVY NJ – “Nothing Better Than You” JUNGGIGO ft. HOODY – “IWST” GB9 – “Stay Here” LEEBADA – “Red Rose” PEAKBOY – “The Same” EIAN – “Before Sunrise” YONGZOO – “This Time” OOHYO – “Tennis” COOGIE ft. BILL STAX – “Hooligans” LEE MINHYUK – “Blue Night” BOL4 - "Bom" BOL4 - "Stars Over Me"
Army Quiz! 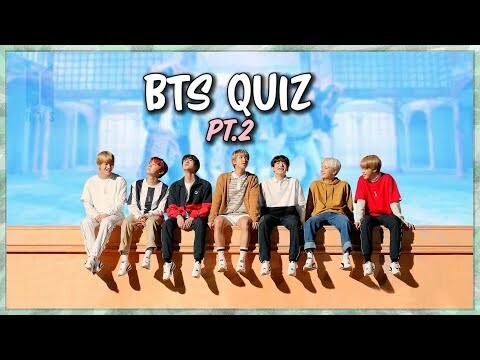 (HARD) How well do you know BTS?